Back Pain Clinic is here to help. For over 30 years, The Back Pain Clinic has been serving Belleville and the surrounding Metro East Communities of Fairview Heights, O’Fallon, Freeburg, Swansea, and Shiloh. Our variety of treatments assists in relieving your pain, no matter where it might be located. We successfully treat hundreds of patients, both new and current, with headaches, back pain, neck pain, sciatica, knee pain, and disc herniation every week. No matter if you’re suffering from headaches or low back pain, the Back Pain Clinic maintains a variety of treatments in order to help everyone start living life pain-free. 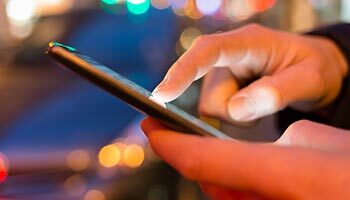 Find out more about our services here! 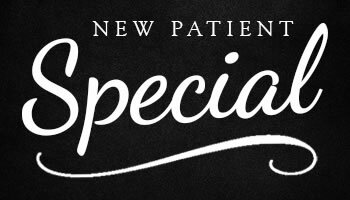 We are currently offering a New Patient Special that features a free consultation and examination! In addition, you will receive a report of findings. This is a limited offer. Stop living your life in pain. Whether you live your life by a calendar or spontaneously require our services, The Back Pain Clinic is here for you. We can schedule whenever it’s most convenient for you, whether it is this week or this month. I was a little apprehensive at first, but due to the pain I was experiencing, I had no choice but to see a chiropractor. This turned out to be the best decision I have ever made. I am back to my daily routine! I don’t know what I would do without [The Back Pain Clinic]. Within 3 trips, the pain started to lessen, and I thought, ‘This is what I’ve been looking for." I would recommend [Dr. Fast] to anybody. I was skeptical at first since I didn’t know much about chiropractic but I felt better after the first visit. This is the first time I’ve been able to sleep in about 5 years without waking up constantly in pain. I can work and go outside and have fun too! I highly recommend The Back Pain Clinic to anyone with back issues. I have been seen at the Back Pain clinic since October 2016, and have made a remarkable improvement to my back and neck. The doctor as well as the staff members are super nice, and I would recommend the Back Pain Clinic to everyone! Dr. Robert J. Fast graduated from Logan College of Chiropractic in Chesterfield Missouri in 2000. He has extensive post-graduate training in sports injuries, rehabilitation, therapeutic taping, and radiology. Since graduation, Dr. Fast has practiced in the St. Louis Metro-East area, formerly practicing in O’Fallon, Illinois, before becoming Clinic Director at The Back Pain Clinic. 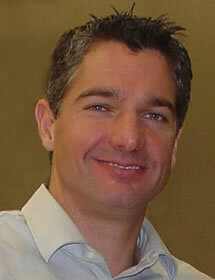 Originally from Winnipeg, Manitoba, Canada, Dr. Fast moved to St. Louis, Missouri, in 1996. A previously competitive water-skier, he enjoyed the natural splendor of the Midwest. He still waterskies, but he now opts to do that with his family, taking them down to the lake whenever weather permits.